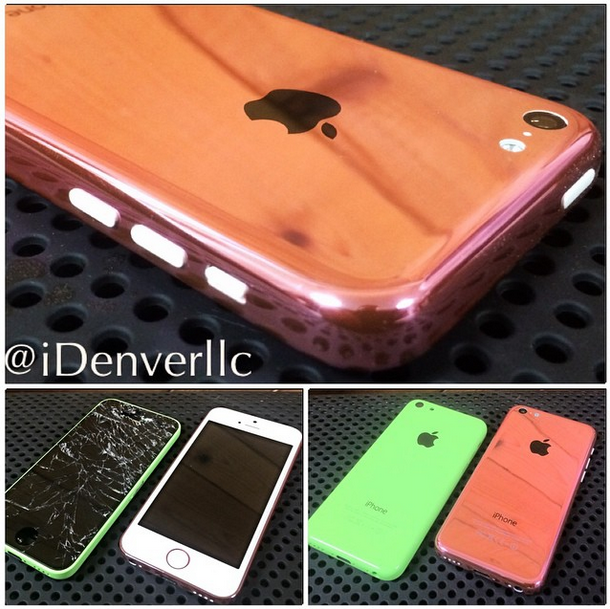 Check out our Instagram @iDenverRepairs! 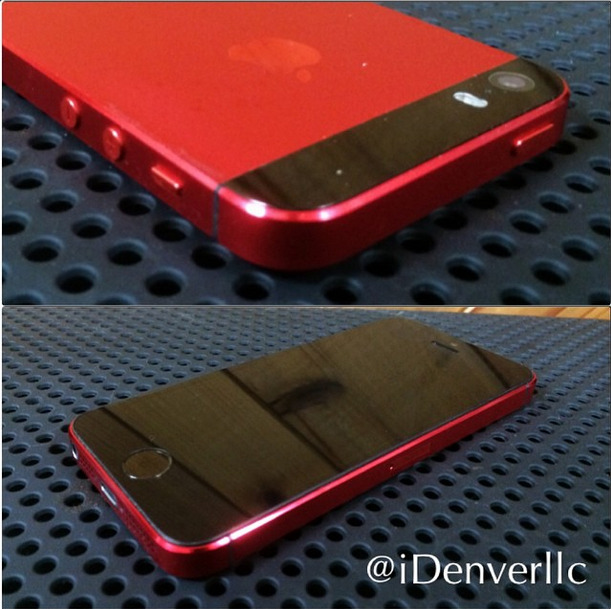 iPhone 6 started out gold and white... but after some beautification from iDenver we now have a stunning red/white/gold iPhone 6. 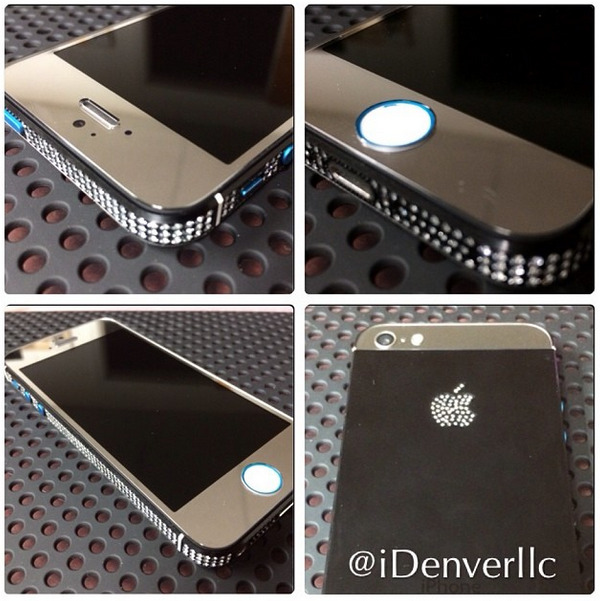 Here is an example of a full custom iPhone 5: jeweled housing and logo, mirrored inserts on back, blue volume buttons, with white 5S looking home button and mirror silver front screen-- shes a BEAUTY! Simple and clean: iPhone 5S with red color conversion. Nothing extravagant about this customization but it looks far better than stock! Fully customized iPhone 5C: pink mirrored rear housing, white front screen with pink/white 5S looking home button... from boring Green/Black to stunning Pink and White!